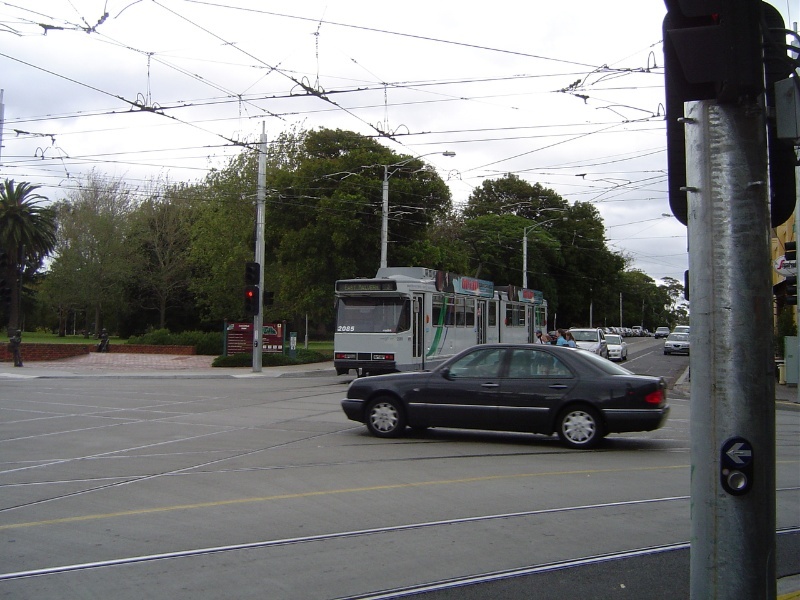 The Grand Union Tramway Junction at the junction of Balaclava Road and Hawthorn Road, Caulfield is an example of a complex tram track intersection; the four-way junction allowing tramcars to turn in any direction. The main elements are the overhead wire system and tracks which are all later replacements. In the early years of the twentieth century the cable tram network of inner Melbourne, which had been built in the 1880s, was augmented by an electric tram network built by municipal tramways trusts in the various expanding suburbs. The Prahran and Malvern Tramways Trust (P & M TT) was the first municipal electric tramway in Melbourne; established by two municipal councils (through act of parliament in 1907), its tramways spread through seven municipalities between 1910 and 1920. The P & M TT became the largest independent electric tram network in the suburbs, creating almost all of the system in the south east suburbs that exists today. The Melbourne & Metropolitan Tramways Board took over the cable tramways in 1919, and all the municipal electric tramways in 1920. The Prahran and Malvern Tramways Trust (P & M TT) opened a double track tram route from Dandenong Road, Malvern via Hawthorn and Balaclava Roads, to St. Kilda Beach on 12th April 1913. Later that year, on 13th November, the Caulfield electric line was opened from Balaclava Junction (the intersection of Hawthorn Road with Balaclava Road, Caulfield) via Hawthorn Road and Glenhuntly Road to Elsternwick Railway Station, and via Glenhuntly Road to Grange Road, Glenhuntly, and via Balaclava and Waverley Roads to Darling Road, East Malvern. On 24th April, 1914 the Caulfield Station loop line was opened, mainly to serve the nearby racecourse. The Grand Union Tramway Junction is believed to date from November 1913 (although it has not been possible to confirm the precise date of construction and determine whether the current configuration was constructed in a single phase or whether it developed over a period of time). The Grand Union Tramway Junction at Caulfield is the most complex junction on the P & MTT network, and located at a central position in the P & M T T system. The four-way junction allows tramcars to turn in any direction. 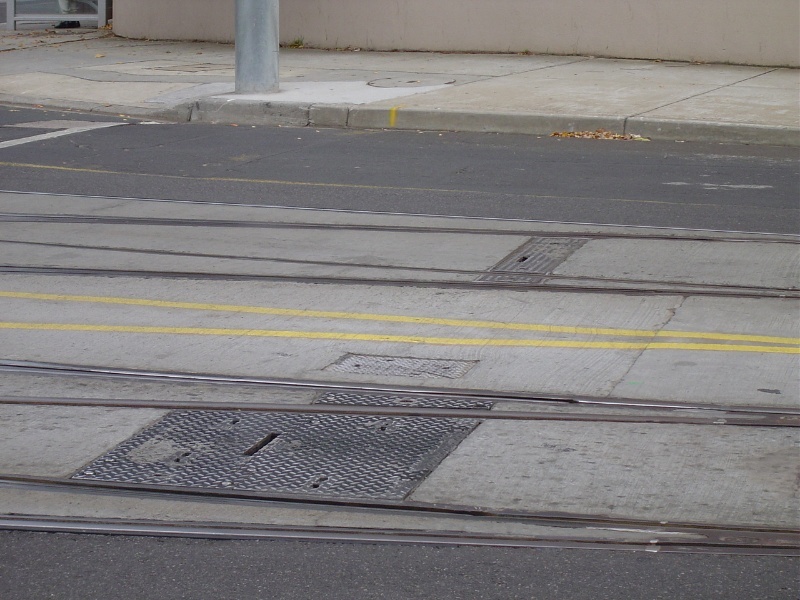 The tramway junction retains no original fabric.The junction was renewed in 1947 and the radius of curvature increased to 11 feet. The rails and overhead wires were completely replaced in 1986. The junction is still in use; it was upgraded in 2005, when the tracks, poles, switch boxes (and possibly the overhead cables) were renewed. 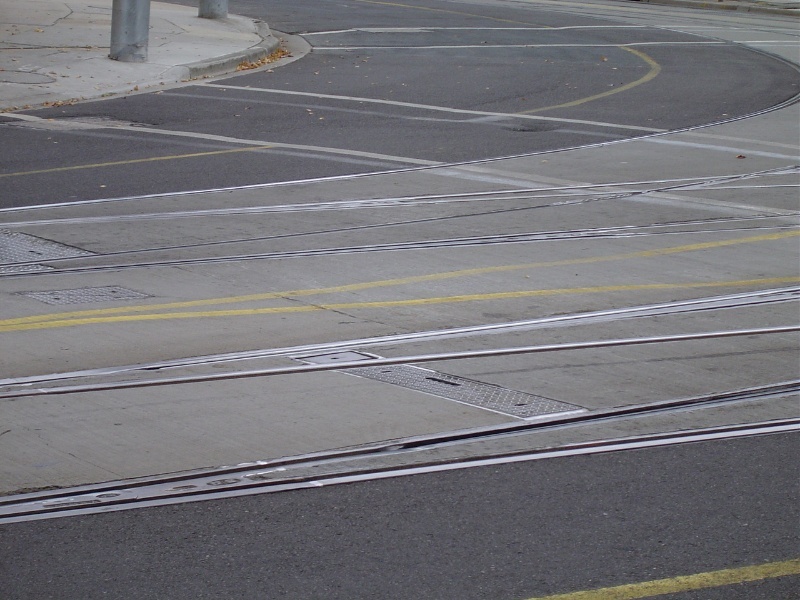 An electronic system was installed which allows points on the road to change automatically when a tram approaches. Previously, tram drivers had to manually operate the lever system which shifts the turning plates on the road. The access covers and other items of infrastructure were removed at this time. The network of rails are set in concrete with asphalt road margins. Three other grand union junctions are known to have existed in Adelaide (including The Great "Four way crossing" at Victoria Square, constructed circa 1909). These were all later removed. This is the only example of this configuration still in existence in Victoria and in Australia. The Grand Union Tramway Junction at Caulfield is of historic and scientific (technical) significance to the State of Victoria. 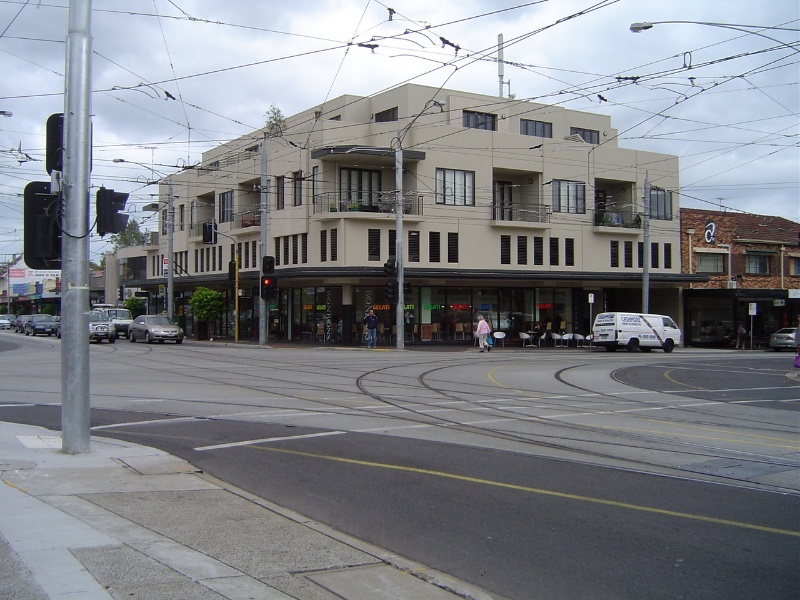 The Grand Union Tramway Junction is of historical significance for its association with the development of the suburban (electric) tram network which aided the expansion of Melbourne as a suburban metropolis, and for its connection with the Prahran & Malvern Tramways Trust which was the first municipal electric tramway in Melbourne and played an important part in the development of transport in Melbourne. 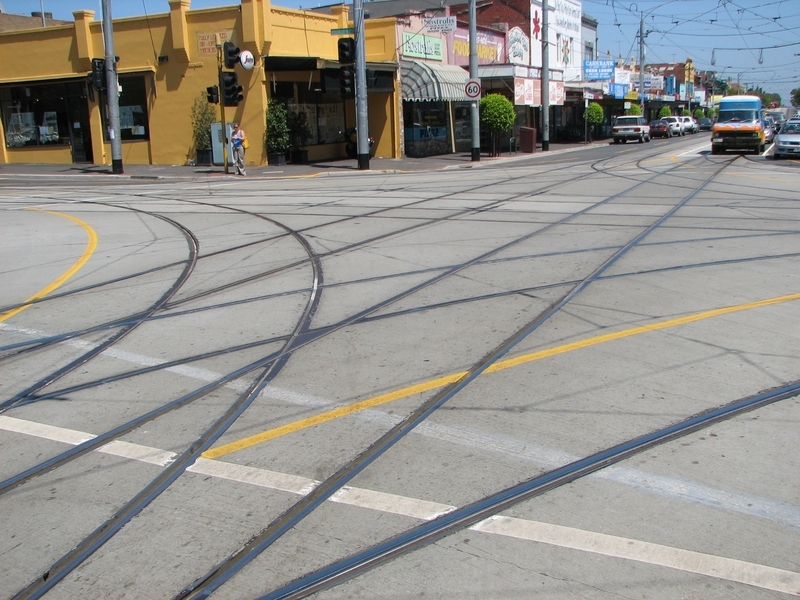 The Grand Union Junction is of technical (engineering) significance as a complex tram track intersection; the four-way junction allowing tramcars to turn in any direction. The main elements are the overhead wires system and tracks which are all later replacements. No evidence of the earlier lever system remains. Although the infrastructure has been replaced on several occasions and no original fabric remains, the configuration can still be discerned, providing an illustration of a complex tramway junction. Grand Union Tramway Junction, Intersection of Hawthorn and Balaclava Roads, Caulfield North, Glen Eira City Council. 1. The feature marked F1 on Diagram 227 held by the Executive Director. 2. All the land marked L1 on Diagram 227 held by the Executive Director. The Grand Union Tramway Junction is believed to date from November 1913 (although it has not been possible to confirm the precise date of construction and determine whether the current configuration was constructed in a single phase or whether it developed over a period of time). The Grand Union Tramway Junction at Caulfield is the most complex junction on the P & MTT network, and located at a central position in the P & M T T system. The four-way junction allows tramcars to turn in any direction. 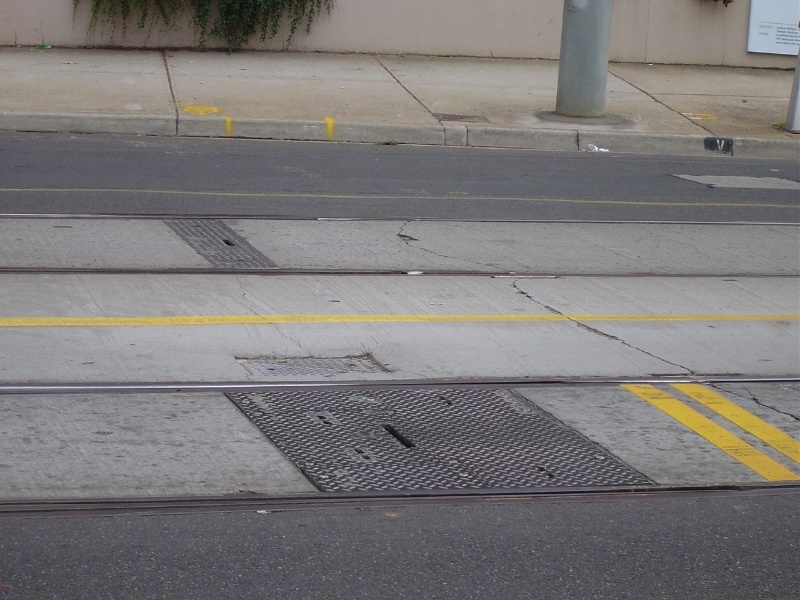 The tramway junction retains no original fabric. 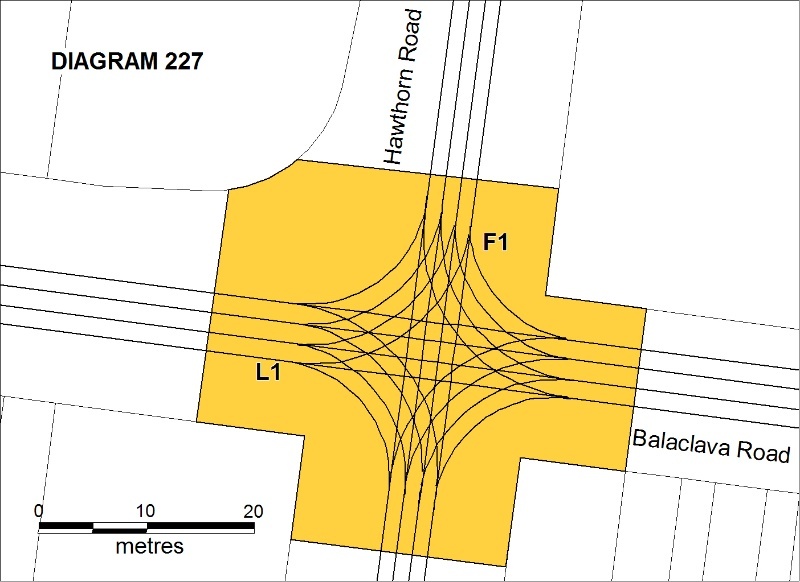 According to Andrew Ward (Caulfield Conservation Study, 1994/2001), the junction was renewed in 1947 and the radius of curvature increased to 11 feet. 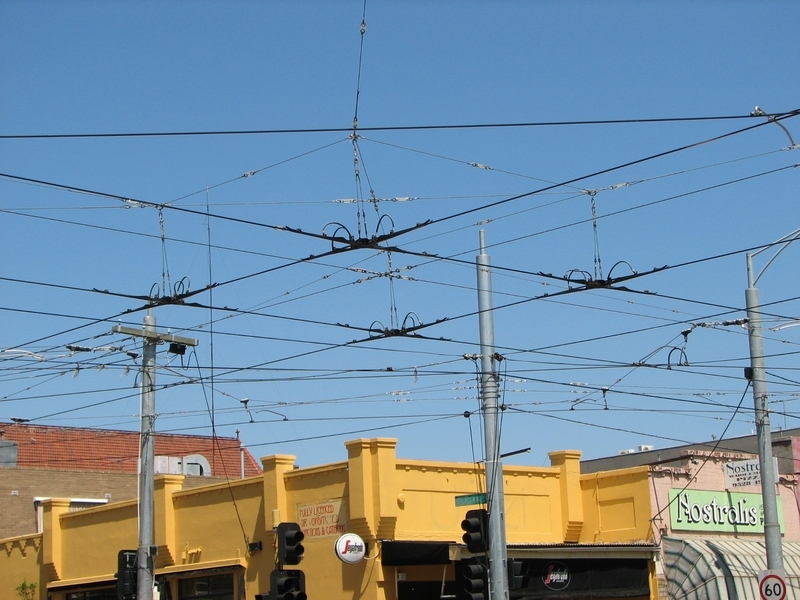 The rails and overhead wires were completely replaced in 1986 (The National Trust of Victoria). 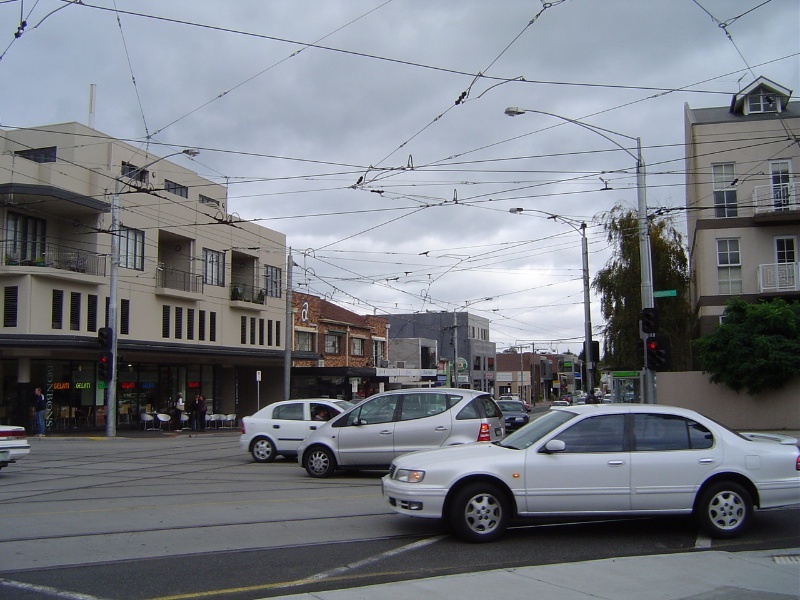 The junction is still in use; it was upgraded in 2005, when the tracks, poles, switch boxes (and possibly the overhead cables) were renewed (Glen Eira News, Vol 95 May 2005). 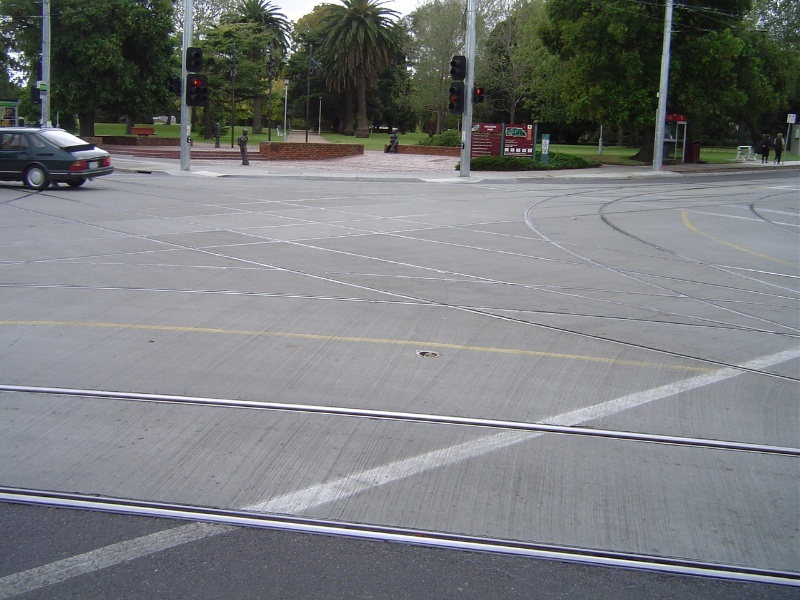 An electronic system was installed which allows points on the road to change automatically when a tram approaches. Previously, tram drivers had to manually operate the lever system which shifts the turning plates on the road. The access covers and other items of infrastructure were removed at this time. The network of rails are set in concrete with asphalt road margins. General Conditions: 1. All exempted alterations are to be planned and carried out in a manner which prevents damage to the fabric of the registered place or object. General Conditions: 2. Should it become apparent during further inspection or the carrying out of works that original or previously hidden or inaccessible details of the place or object are revealed which relate to the significance of the place or object, then the exemption covering such works shall cease and Heritage Victoria shall be notified as soon as possible. Note: All archaeological places have the potential to contain significant sub-surface artefacts and other remains. In most cases it will be necessary to obtain approval from the Executive Director, Heritage Victoria before the undertaking any works that have a significant sub-surface component. General Conditions: 3. If there is a conservation policy and plan endorsed by the Executive Director, all works shall be in accordance with it. Note: The existence of a Conservation Management Plan or a Heritage Action Plan endorsed by the Executive Director, Heritage Victoria provides guidance for the management of the heritage values associated with the site. It may not be necessary to obtain a heritage permit for certain works specified in the management plan. General Conditions: 4. Nothing in this determination prevents the Executive Director from amending or rescinding all or any of the permit exemptions. General Conditions: 5. Nothing in this determination exempts owners or their agents from the responsibility to seek relevant planning or building permits from the responsible authorities where applicable. Signage and Site Interpretation : The following Signage and Site Interpretation activities are permit exempt under section 66 of the Heritage Act 1995, a) signage and site interpretation activities provided the works do not involve the removal or destruction of any significant above-ground structures or sub-surface archaeological artefacts or deposits; b) the erection of non-illuminated signage for the purpose of ensuring public safety or to assist in the interpretation of the heritage significance of the place or object and which will not adversely affect significant fabric including landscape or archaeological features of the place or obstruct significant views of and from heritage values or items; c) signage and site interpretation products must be located and be of a suitable size so as not to obscure or damage significant fabric of the place; d) signage and site interpretation products must be able to be later removed without causing damage to the significant fabric of the place; Note: The development of signage and site interpretation products must be consistent in the use of format, text, logos, themes and other display materials. Note: Where possible, the signage and interpretation material should be consistent with other schemes developed on similar or associated sites. It may be necessary to consult with land managers and other stakeholders concerning existing schemes and strategies for signage and site interpretation. Minor Works : Note: Any Minor Works that in the opinion of the Executive Director will not adversely affect the heritage significance of the place may be exempt from the permit requirements of the Heritage Act. A person proposing to undertake minor works may submit a proposal to the Executive Director. If the Executive Director is satisfied that the proposed works will not adversely affect the heritage values of the site, the applicant may be exempted from the requirement to obtain a heritage permit. If an applicant is uncertain whether a heritage permit is required, it is recommended that the permits co-ordinator be contacted. The purpose of the permit exemptions is to allow works which do not impact on the significance of the place to occur without the need for a permit. The cultural heritage significance of the place is principally due to its potential to demonstrate the complex four- way configuration. It is also of historical significance for its connection with the Prahran & Malvern Tramways Trust. Alterations which impact on the significance of the place will require a permit.